The credit of remodeling a 7,000 square-foot gym into a beautiful 5-bedroom apartment building goes to interior design agency 'The Apartment'. 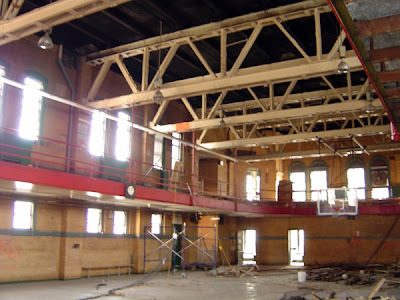 As we can see from the picture below, the place that was unused for years was in need of lots of restoration. Though even after lots of restoration it did contain some of its original features: the original girders though restored and painted to keep up with the contemporary style is still in place and so was the original basketball flooring in some areas of the apartment. 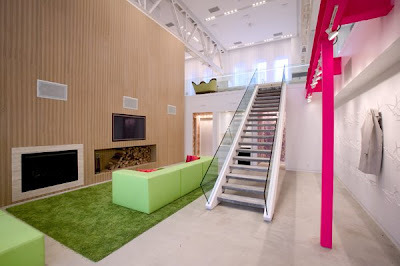 For the unpainted concrete floor, green rugs and pink furniture were used. 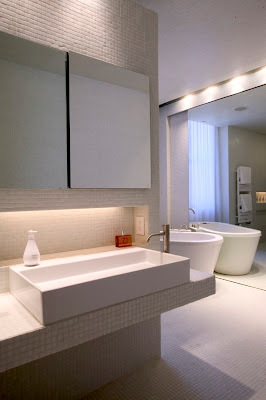 For the makeover, new building techniques were tried and it turned out to be quite successful and impressive; a 30-foot long kitchen was designed and built, an indoor garden was installed and the best was the realization of what was imagined - a 12 person home theater. It's a perfect combination of the original basketball court and running track combined with a contemporary look. 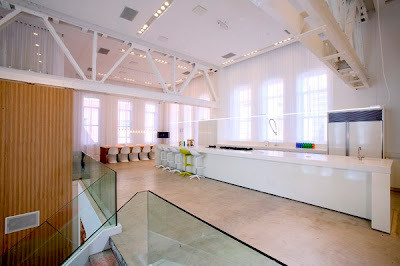 The agency decided to turn the lower area into apartment space, while the upper floors were kept as a showcase of the agency's work. Impressive!